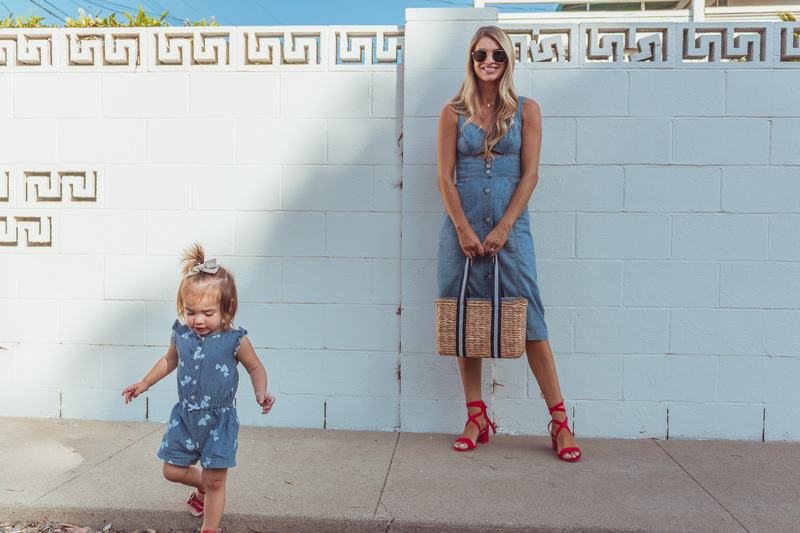 Another day, another mommy and me matching look! I can’t get enough of these and am taking full advantage of twinning with Crosby while she has no clue. I know in a few years she will probably want nothing to do with this and want to wear princess dresses and ugly stuff from Justice. Am I right? 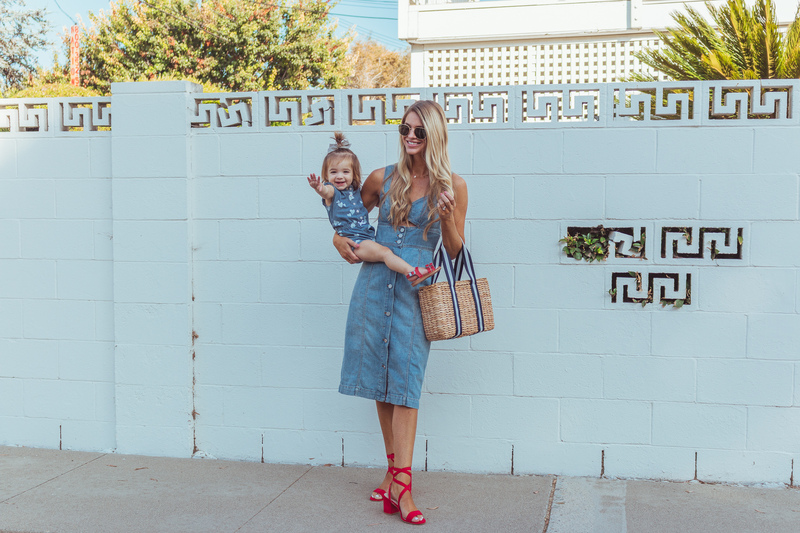 I was sent this denim dress from Rebecca Taylor a few months ago and waiting for the right time to wear it. The perfect occasion never came up and I got tired of waiting so I pulled it out for a Sunday morning family Target run. Looking back we should have taken at least one photo in the store since our shoes perfectly coordinated with the red shopping carts. But back to my dress, minus the cutout up top, it reminds me of something my mom would have worn in the 90’s. Remember when denim dresses were all rage? I think it was when GAP was in it’s prime. I usually stay away from an in between hemline like this one. I think they look best on taller gals. It’s not quite midi, but definitely not a mini. They make my legs look a little on the short side, but something about this dress made me want to take the plunge and I’m glad I did. It’s getting harder and harder to take pictures with a toddler. Crosby was much more interested in picking up the rocks in front of us than standing with me. But, I’m so glad we take pictures with her often and know I will love thinking back to these fun memories one day.